Weird, wonderful - and worth a look! 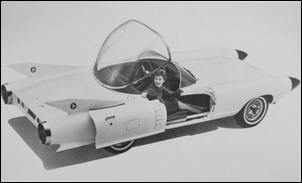 Call them concept cars, dream cars, prototypes that never went into production, or simply show cars – car companies have been building tantalising prospects for well over half a century. 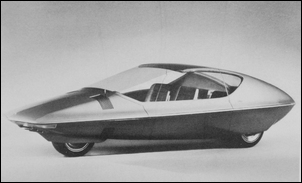 And, paradoxically, it is those very earliest concept cars that are the most interesting. Here we take a look at fourteen of them. Simply superbly elegant – and the car is too. From the swivelling front seats to the suicide rear doors, lack of B pillars, sweeping rear curves and wraparound windscreen, this is one heck of a car. 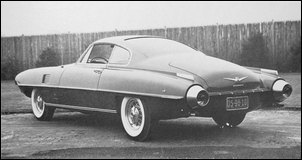 The most amazing thing about this car is not its clean styling but the motive power. Under that bonnet is a gas turbine - and furthermore, it was a car that was actually put into the hands of the public! Now you just have to admit that this is really some car. From its full lift-up canopy to its sliding doors, top and bottom fins and front-pushing ‘dagmars’ (the latter apparently named after the attractive projecting charms of a contemporary TV hostess), this is a car you could park with pride in your driveway. And yes, we really think so! Something completely different is this concept Triumph. 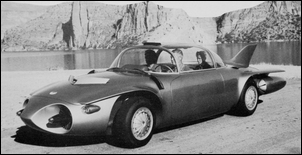 With hints of Porsche 356, Jaguar and even Cord about it, the design is beautifully proportioned and cohesive. 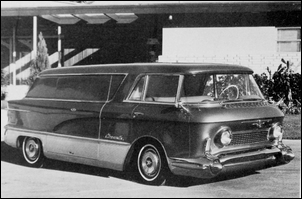 And we’ll leave you with this amazing looking van or wagon (we’re not sure which it is!). No information is available but we don’t think that should preclude you from seeing it. What a great looking car. Or van. Or wagon. 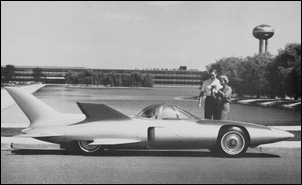 The photos in this story are drawn from Dream Cars – Design Studies and Prototypes. It was published in 1980 and has the ISBN 0901564184. The author is Michael Frostick. 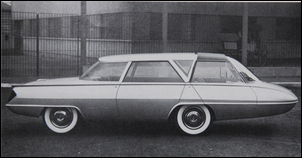 There are many other cars in the book – it covers the Sixties, Seventies and Eighties. Highly recommended – if you like the cars shown here, in the book there are plenty of others to shake your head over!